This magnificent custom single-level estate is located on a prime 6+ acre lot high on Honolua Ridge, Kapalua ResortÃ¢Â€Â™s private gated enclave. Offering spectacular ocean views, the property features a fabulous great room opening on to a spacious lanai with a luxurious pool and spa surrounded by tiki torches to set the tone for a casually elegant life-style both day and night. Built as the primary residence of one of West MauiÃ¢Â€Â™s finest builders, the attention to detail and highest quality craftsmanship is incorporated throughout: media room with full surround sound, 3-car garage with oversized bays, Ã¢Â€ÂœKapalua RockÃ¢Â€Â wall system surrounding the residence and driveway, 8 specialized A/C zones, 2 gas fireplaces with hand-carved Tuscan mantels, 75 tons of travertine stone columns, travertine flooring throughout, 4 on-demand Rinnai hot water systems, 2 laundry rooms, state of the art stereo throughout the home and exterior, eagle concrete roof tiles, copper gutters with custom rain chains, Venetian plaster, oversized custom designed master closet, 9 televisions, double septic system with grid system, Genuine stucco, and custom exterior cedar soffiting throughout. The lower portion of the property is a perfect site for an Ohana to service additional family members or guests. A fresh spring-fed pond is another unique feature of this showcase property. 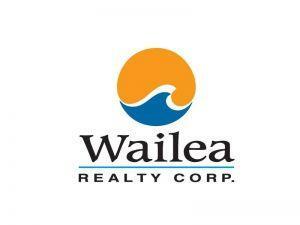 I am interested in 222 Keoawa St, Lahaina, HI 96761 (Listing ID # 379775).